The best bull riders in the world will invade North Carolina as the 25th PBR: Unleash The Beast Greensboro Invitational, comes to Greensboro Coliseum, on October 13-14. The two-day event will be the PBR’s 11th time in Greensboro and the 27th time overall in the Tarheel State. Five world champions will be competing in Greensboro including the 2012 winner and two-time champion J.B. Mauney (2013, 2015) along with reigning champion Jess Lockwood, Cooper Davis (2016), three-time champion Silvano Alves (2011, 2012, 2014) and Guilherme Marchi (2008). Winners in Greensboro include: Mauney (2012), Justin McBride (2007), Rocky McDonald (2006), Chris Shivers (2005 & 2003), Justin McBride & Reuben Geleynse (2004), Jim Sharp (2002), Adriano Moraes (2001), Danny Vamadore (2000), Gilbert Carrillo (1999). The Greensboro Invitational will begin at 6:45 p.m. on Saturday, October 13, and at 1:45 p.m. on Sunday, October 14. All 35 bull riders will get on one bull each in Rounds 1 and 2 on Saturday and Sunday. After Round 2, Sunday afternoon the riders’ individual two-round scores will be totaled and the top 15 riders on two bulls will advance to the Championship Round for one more ride and a chance at the $30,000 event title. Tickets start at $15 and will go on sale Friday, June 8 at 10 a.m. at the Greensboro Coliseum box office, online at Ticketmaster.com or by calling PBR customer service at 1-800-732-1727. CBS Sports Network will broadcast Round Two and the Championship Round on Sunday at 6:00 p.m. ET. The PBR Elite Seats are available for avid bull riding fans who want a behind-the-scenes look at the world’s premier bull riding circuit. 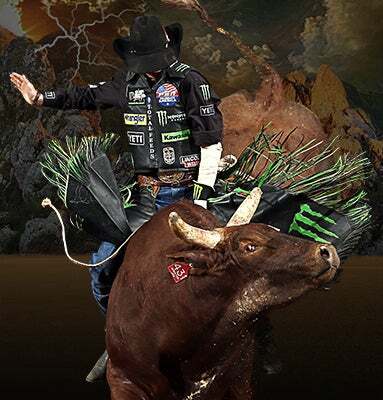 These tickets offer premium seats and the VIP experience of a lifetime, including early entry; a catered reception; 60-minute tour by a PBR Host, featuring a PBR 101 presentation and a visit with the sport’s fiercest bulls; and the opportunity for photos and autographs from top PBR stars. The PBR Elite Seats will be on Saturday only and are available for $350. They can be purchased by contacting the PBR Customer Service Department at 800-732-1727 or through Ticketmaster.com. The Greensboro Invitational will be the 26th event on the 25th PBR: Unleash The Beast. The season will consist of 27 stops, traveling to such cities as Chicago, New York, Anaheim, Calif., and Dallas. It will culminate with the 25TH PBR World Finals: Unleash The Beast in Las Vegas on Nov. 7-11 when the 2018 PBR World Champion, the bull rider who earns the most world standings points during the season, will receive the coveted World Championship belt buckle and $1 million bonus. The PBR’s premier series is televised every week on CBS, CBS Sports Network and networks around the world. Premier telecasts are produced for the PBR under a multi-year agreement with David Neal Productions, a Los Angeles-based production company led by 34-time Emmy® Award winner and Peabody Award winner David Neal, who serves as executive producer. The world’s premier bull riding organization began as a dream of 20 bull riders 24 years ago and is now a global sports phenomenon. On its elite Premier Series, the PBR features the Top 35 bull riders in the world and the top bulls in the business. The televised Premier Series, the PBR Real Time Pain Relief Velocity Tour (RVT), the PBR Touring Pro Division (TPD) and the PBR’s international circuits in Australia, Brazil, Canada and Mexico have paid more than $170 million in earnings to its athletes. Thirty bull riders have earned more than $1 million, including two-time PBR World Champion J.B. Mauney who has become the top-earning athlete in Western sports history with more than $7 million in career earnings. In May 2015, PBR was acquired by Endeavor, a global leader in entertainment, sports and fashion. For more information on the PBR, go to PBR.com, or follow on Facebook at Facebook.com/PBR, Twitter at Twitter.com/PBR, and YouTube at YouTube.com/PBR.